Too much patience breeds indecision, charisma can be manipulative, and control, while it can prevent waste, inhibits creativity. 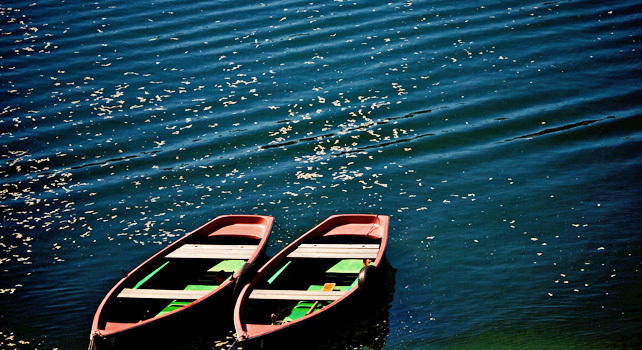 Managers–and their teams–need these factors in balance. Here’s a primer on how. Shortly after his arrival in early 2002, Nick Wilkinson, as managing director of Dixons Retail, one of the largest consumer electronics retailers in Europe, actively tried to combine an already high level of internal competition by adding a team reward. As a consequence, many of his best salespeople left, discouraged by what they felt was a system intent on watering down their individual contributions. However, to cater to the spirit of competition that is part of the young recruits eager to progress up the career ladder, he designed a plan in which stores were encouraged to compete against other Dixons stores of a similar size but in a different region. He also encouraged recruits to be transparent about their career ambitions via an internal, online application system. Everyone had access to whatever anyone else was planning as a career. Internal competition wasn’t so much eradicated as reoriented: some of it toward other stores, and some of it channeled toward career development rather than competition for the next customer. As Wilkson’s story shows, getting the balance between competition and collaboration right is one of the most difficult team-leadership challenges. The tension between greediness and altruism among team members is subtle. Intuition tells us that selves individuals should be popular; after all, they give a lot to the team yet ask little in return. It is equally obvious that selﬁsh behavior is undesirable: if people were into it solely for themselves, they might free ride if given the chance, leaving some tasks either undone or poorly done. Here, the selﬂess might pick up the pieces and compensate for others. However, a surprising ﬁnding from recent experiments proves intuition wrong. Who would have thought that team members value charitable individuals much less than we (or even they) might expect. Psychologists Craig Parks and Asako Stone came to this entirely unexpected ﬁnding after an experiment designed to study the expected ostracism of cheaters. Early results showed that team members were as likely to select the generous minded for exclusion. Using a computer simulation of a simple game, participants were given ten points per round to keep or place in a “public goods” kitty. Whatever points they put in the shared pool would double, after which participants could withdraw up to 25 percent of the pool (irrespective of their original investment). There was an incentive to withdraw less than 25 percent, namely, a bonus would be paid if the pool exceeded a certain threshold after an unspeciﬁed number of rounds. After the game, the psychologists asked the participants which of four players (one of whom was either a Scrooge or a martyr) they would like to play in another round. Unsurprisingly, the selﬁsh person proved unpopular, but so did the selﬂess. So bewildering was the result that they reran the experiment four times while simultaneously testing alternative explanations. So why is it that people are as likely to exclude selﬂess people as those who are greedy? Might it be that people are inherently bad at correctly estimating the contributions of those around them? So, if you take a smaller share, it reﬂects on you as having given less in the ﬁrst place. Or, similarly, if you take less than others, this indicates the value you place on your own contribution, meaning that if you don’t value yourself, why should team members? The researchers’ ﬁrst explanation–that the selﬂess person was perceived as incompetent or unpredictable, or the kind of person psychologists know will be disliked in this sort of game–proved to be false. When questioned, participants reported that seeing others take less than their fair share made them feel bad, and that the only way to rescue their own reputations (and make themselves feel better by comparison) was to eliminate the martyr. Virtue had become vice. Trust and vigilance coexist in varying degrees, as trust comes in different guises. For instance, it could signify conﬁdence in team members’ technical competence, in their reliability, or in their benevolence. In much research on trust, the concept remains relatively poorly deﬁned and referring to some combination of these three varieties, making it difficult to pin down. Nevertheless, some researchers exploring the topic of trust in teams have offered interesting suggestions. Penn State professor Kimberly Merriman, for example, thinks that low-trust teams are best rewarded according to individual effort. The fact that an estimated 85 percent of Fortune 1,000 companies use some form of team or group-based pay would thus suggest that they either think their teams have transcended the low-trust barrier or hope that pay might promote trust. If the latter is true, it seems ironic that cooperation is far better fostered by shared perceptions of fairness, of which the allocation of speciﬁc roles and individualized rewards are key features. More trust isn’t necessarily better. One can have too much of a good thing. A recent experiment with teams of executive MBA students given two hundred colored-plastic bricks (from which they were asked to craft nothing more sophisticated than a coat stand) ﬁnds that trust can be the death knell to creativity. While trust is associated with creativity–not least because it signiﬁes a psychologically safe space in which people can tinker freely without fear of losing face–this really only applies up to a point. Beyond this, trust becomes a liability. Team members placed a higher premium on harmony than on solving the problem at hand. The creative tension that results from questioning each other’s suggestions gives way to trying to please one another. These seemingly contradictory forces coexist, in a perfectly natural way. Competition weeds out inefficiency in an otherwise collaborative environment. Trust can lower transaction costs but also lead to free riding if not paired with some degree of vigilance. Control can prevent waste, particularly when dealing with less experienced team members, yet autonomy is what allows them to make mistakes and learn from them, or to handle difficulties with clients they know well rather than those more senior but also more detached. Charisma can become manipulative if those who are more analytical do not rein it in. Analysis without charisma can fuel cynicism. Patience is a virtue but, if too widely shared, could cause a team to be indecisive; hence it helps to have someone on board who is more decisive, even if being too decisive can lead to hasty choices. Granting colleagues autonomy provides scope for personal growth and ﬂexibility, yet too much autonomy enables them to build their own empires. This means that control is required, although too much control can be seen as autocratic, off-putting, and ineffective. Open-mindedness allows for ﬂexibility and creativity, but too much of it can render teams indiscriminate. Loyalty to key ideas, to ground rules, or to those in charge might balance that out, but loyalty that is too strong can cause teams to miss opportunities. These tensions can quite easily make a team of high performers seem fragile, even if it is perfectly functional. The tensions can make even the most effective teams feel off-balance occasionally, as teammates work to reconcile, or reconcile themselves, to the contrary pulls. The potential for conﬂict is never far away, not just because those team members often fall prey to their own insecurities, but because they believe things should be done in particular ways. The point is clear: what feels dysfunctional need not be. Tension may be unpleasant–but not illegitimate. Reprinted by permission of Harvard Business Review Press. 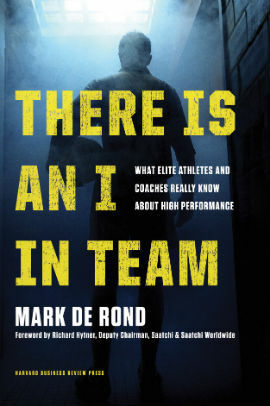 Adapted from There Is an I in Team: What Elite Athletes and Coaches Know About High Performance by Mark de Rond. Copyright 2012. All rights reserved.